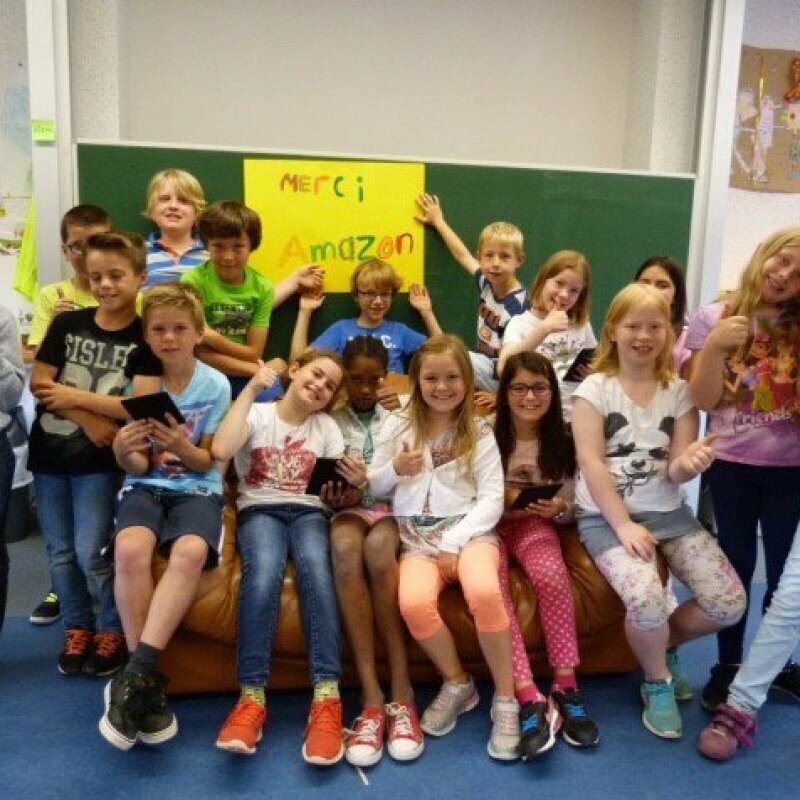 Donating Kindle devices to a local Luxembourg school to support a school-led writing competition. 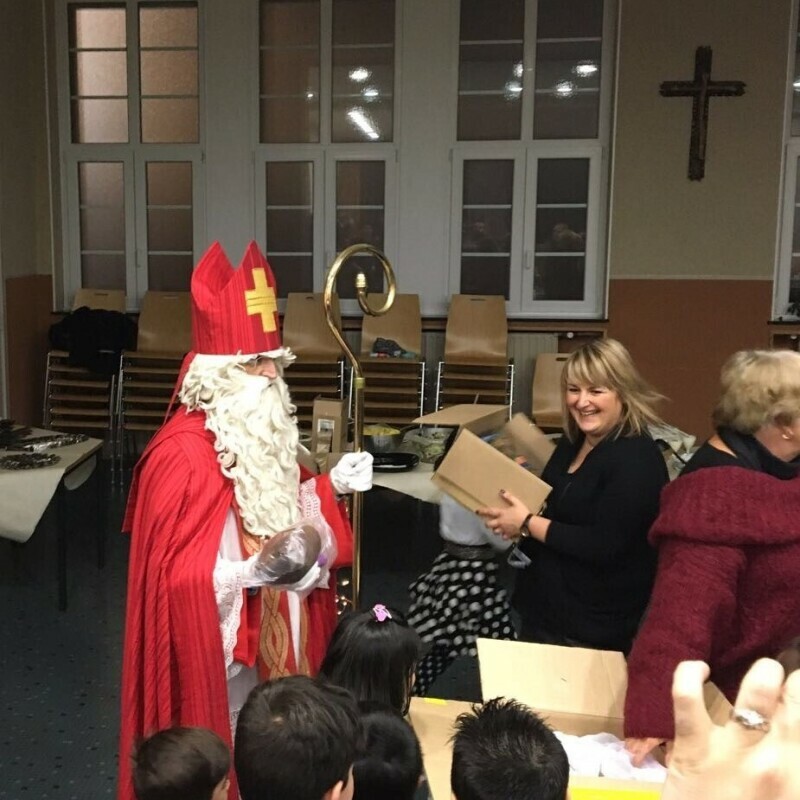 For the first time, refugee families in Luxembourg were able to discover the traditional St Nicolas celebration as part of local Christmas festivities. We’re partnering with local Luxembourg NGO Caritas for refugee “back to school” campaign.